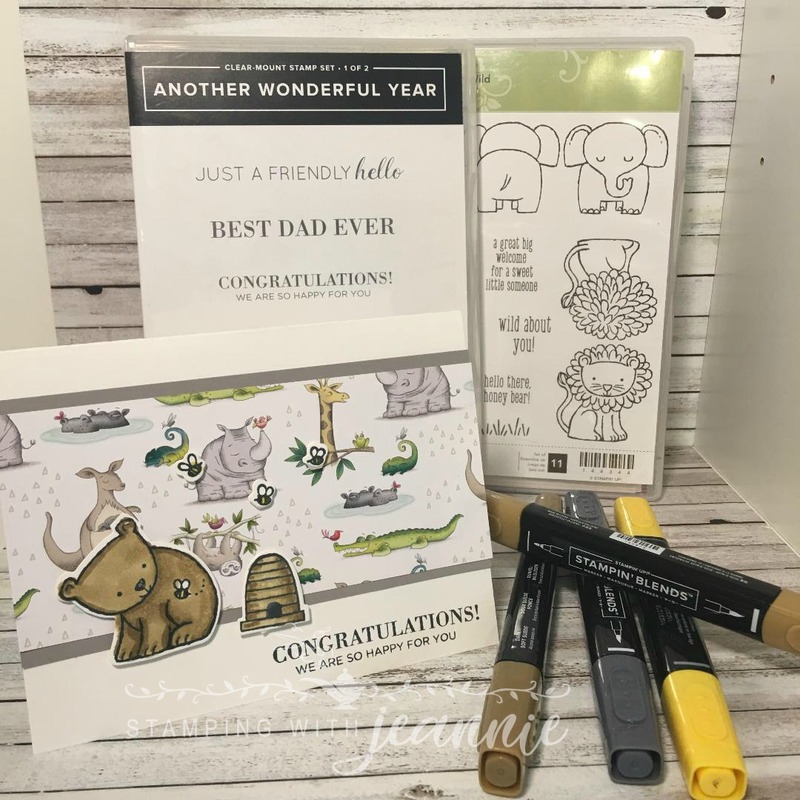 Stamping with Jeannie: A One-Day Sale celebrating Stampin' Up! 's Birthday! A One-Day Sale celebrating Stampin' Up! 's Birthday! I'm so excited about this 24 hour Birthday Sale!! One of the stamp sets, Another Wonderful Year, is the stamp set that we'll be using for our 9th Annual Stamp Out Breast Cancer event this coming Saturday. In case anyone wants to donate, I'm including the link HERE. With your $20 (or more!) donation, you'll get a free tutorial by email that uses this stamp set and the Broadway Bound DSP. The cards are super-simple but cute! 100% of the profits go to the Making Strides Against Breast Cancer. If you live in Massachusetts or New Hampshire and can come to our event on Saturday, it's in Dracut MA at Harmony Hall from 1 - 4 p.m. Not only will you be able to come in and make the cards (a team of demonstrators including me have donated all of the supplies), but you can purchase chances to win great raffles and hear great speakers, not to mention that you can have an all-around good time with other stampers! 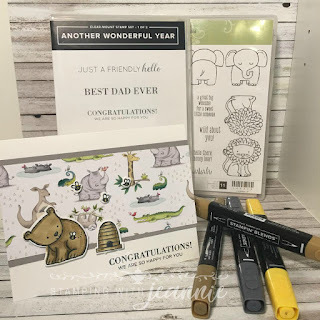 So, I want to share one of the cards I made this morning using the A Little Wild stamp set and Another Wonderful Year. I sent out the tutorial for this card in my weekly newsletter today. If you subscribe to my newsletter, you can receive this and other tutorials, and Stampin' Up! news too! Down below, I've included all of the stamp sets that are on sale tomorrow! Happy shopping! (*Use the hostess code X2DDXXFE and I will send you a set of note cards if your order is over $50.